This has been such an interesting week. I have been seeing Jerusalem, and Israel, through the eyes of my friend Jill. Jill has been here many many times, she is like a sister to me, but this time she is comparing the truth with what she sees and hears on the news in the UK. Mayor, Ben Yehuda pedestrian Mall celebrates a different fair every week. Food fairs, crafts fairs, any type of fair to encourage people back to the centre of town. What surprised Jill most of all is that contrary to the news items, Arab women, in full Moslem garb, with their children, walk unnoticed, shop unnoticed and enjoy the freedom of walking in safety, rights that they deny us in their towns. perpetrated that crime, and other similar dastardly acts in Jerusalem and other towns. All of them have full Israeli citizenship, all from East Jerusalem, all with regular incomes, all trusted employees. 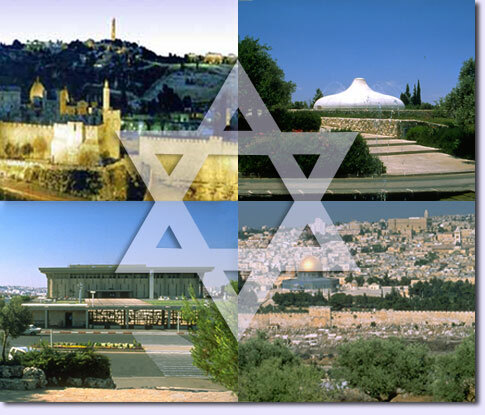 groups visiting Israel, more than any other community. At least one group every month! his stay here has been both challenging and heartwarming. Paraguay's vote swayed the establishment of the State of Israel at the United Nations in 1947. I am also very proud of Michal Korman, my close friends' daughter. Michey is playing first cello in an international youth orchestra in Berlin, under the baton of Daniel Barenboim. Another achievement for Israel. than fighting to stay alive, she is beginning to understand exactly what has happened to her. The tragedy, the trauma, the anger, the deep deep melancholy of knowing that nothing will ever be the same. asked me what I was doing these days and I told her about my writings and about a young woman who was hurt in a pigu'a. "Do you mean Kinneret?" she asked. I was staggered. "Did you hear about her from one of our other firends? Did you read about her in the paper?" I asked. "No, I was the psychologist who met the family at Ichilov Hospital immediately after the bombing. I remember Anat, beautiful and terrified, searching for her little sister, praying she was still alive. I helped her to find Kinneret." I have sent Netta the letters describing Kinneret's struggle back to life. I will take her to the hospital.There she can meet Itsik Kochav, who saved Kinneret from the inferno. fully despite the attempts of other to end our freedom. With much love for a Shabbat filled with human kindness. DON'T FORGET. SEPTEMBER 19TH, THE CONCERT. THE SOCIAL EVENT OF THE YEAR. NIGEL KENNEDY, MAXIM VENGEROV AND JERUSALEM. WHAT MORE COULD ANYONE WANT?